Doo Wop is Coming To Windber…..
Get ready Windber, PA. “Doo Wop” music is back, thanks to “The Belmonts” performing this Saturday, July 28, 2018, at 7:30 pm at our Theater! 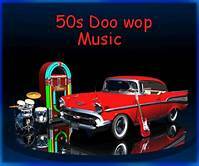 Enjoy the music that will take you back to the simpler times of the 50’s and early 60’s. Great seats are still available, so call today if you want to order tickets via phone or by stopping at the Box Office. We are open today from 10 am to 4 pm. Otherwise, you’ll need to order your tickets online by clicking on the BUY TICKETS tab of this website and then paying for your seats via debit/credit card.